Welcome to the first episode of my future Guide to FPSC. Quote: " 1. These tutorials are being released on an irregular basis. 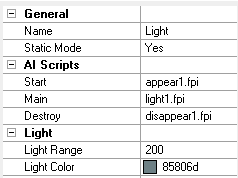 Lightmapping is the process of rendering static lights in your level (feel free to correct me if I'm wrong). Here on the forums, we use it as a term to describe the way of you placing your lights in your level. For concerts,movies and theatershows, it is a wellpayed job to do the lightning as it is extremly important. I've recently watched a film where a woman got pregnant, everyone was so happy and all the scenes where lit in fuzzy warm colors. Then it turned out that the baby won't survive and suddenly everything was lit in cold, blueish colors. Who doesn't know the effect of ubercolorful clublights and cocktails on...no scratch that: The feel of humming cold fluorescent lights in a hospital at night. The gritty blue green feel of it? Or the surreal feel of a room lit by sunlight shining through grunged up yellow industrial windows? You know exactly what I am talking about? Then WHY are you placing a plain boring white light in your hospital floor?? ARGH! It is important to place the lights on a somewhat believable place. If you have really no idea where to put it, just look around in the places where you usually are. Your workplace/school/home/trainstation/supermarket etc. ...or images on the net....or movies. A lot of inspiration everywhere. Remember to look at the texture of your segment first. *Offices and most modern buildings are well lit. *For the realist: Never place a light on or near a waterpipe. *For the realist: In underground structures, you can have cables that link to your light. A weak lightsource in a small and dark room lights up a lot of space. The same lightsource is a lot weaker if there is another, more dominant lightsource close...keep that in mind. I write this down because I've seen a lot of dark hallways where everything that gets lit up by the big fluorescent light is the light itself. This simply looks bad. 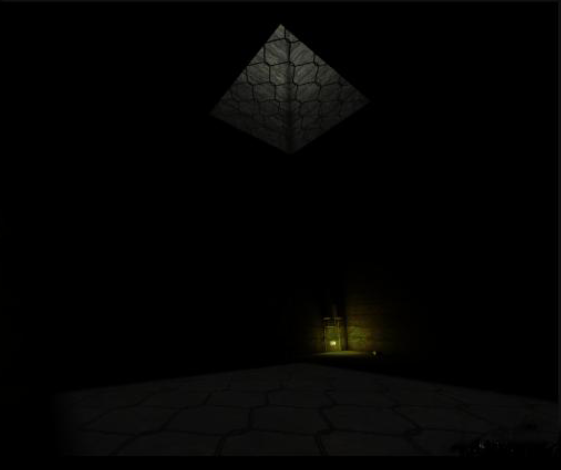 If you are working on a horror game: Dark rooms where the player doesn't see where he is going are not scary, they are just annyoing. Every player has different screensettings. A scene that is lit on one can be pitchblack on another. I learned this the hard way having a lot of people not seeing anything in my games like Euthanasia or Thanatophobia that are perfectly lit on my and one of my friends system. Well...it happens. This is why it would be best to make the levels a lot brighter than necessary. I'll do this in the future levels of relict and in shavra aswell. Lets place the light. Dont place it too close to the source!! It does not matter what color the lightbulb entitie in the editor has. Now that we placed the lights lets see how the settings where made. This is the setting box for the light. You can copy the hexcodes if you really feel like you need to. lets pick this You can select it by clicking on the right, next to the hexcode. Ignore those colors that are there...never use plain red, plain yellow or plain white lights. I circled the colors I use for my grungy games These are natural tones that fit my textures best. You can find your own style by experimenting a little Feel free to use really subtile lightcolors. Oh, Like I wrote before, never use plain white light. Especially not when you use Bloom Effects. Go into a greyish or even another color. Yeah, Some cute little toddlers complain about no lightintensity option. ...are the little codes that you can see in the setting box. I recall some people writing me about it in MSN. You don't need it. 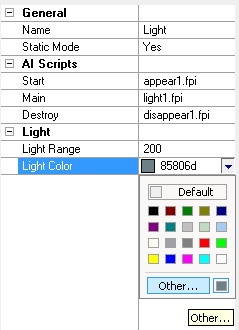 Really, its useless...unless you want to use the exact same color for the exact same light in your game over and over again. There are some small programs on the net that read hexcodes from images. In case you want to use only colors that exist in the eyes of your girlfriend in your favorite photo of her...that would not be...creepy at all....what?! This is an idea I had 2008. I forgot about it and dug it up today. Sorry for the horrible image quality. It shows the use of Overlays for fake light and shadow effects. Okay, I hope you people enjoyed it so far and are not too disappointed because it was so easy =D No multiple lightsources, no mods, no directional lights, no blackmagic...just this. To get the same results as I do, you need to adjust your setup ini. Apparently a lightmaptexsize of 1024 produces less files and renders faster. I also noticed slightly better performance. thank you for this, wolf. Good read, Wolf. Looking forward to your next tutorial. Awesome job Wolf. Thanks for sharing, I needed this. I'm working on some what of a big tool for FPSC, mind of I use your "setup ini" settings for preset profiles? FPSC OneSource [DeskTop App] - Bringing everything together into one. Great tutorial, the overlays for directional lighting is an excellent idea. Awesome! Now I can have lightmapping skills like you! Oh wait, a bit too early? Good job and thanks for releasing this! Great added your setting tips to my notes, commented with you as the contributor. 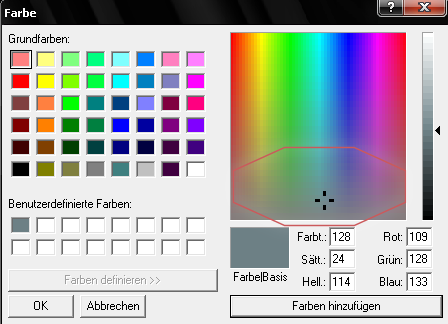 And man, I never thought about the colour of the light as such an important factor! Wolf, Many thanks for this! Much needed tutorial Wolf... and coming from you just makes it better. Many thanks for this mate! Very nice! I would like to add this to the Tutorial Compendium I just need you to specify the "level of difficulty somewhere in the initial post; then I'll add it to the title as well, and place the link in the Compendium. Thanks for taking the time. Nice tut there wolf this will def help a lot of people out. Hello Wolf thanks for this tutorial.Can I put it in my tutorial.I will credit you. Poloflece,Anayar,PWP,Henry Ham,Cosmic Prophet,Wolf,KeithC,Nickydude And Lee Bamber is my icon. You can as long as you give credits and link to the original post for questions and comments. OMG! Wolf,thank you so much for making this tutorial!! you are one of da best!! keep up da Awesome work. Great tutorial. One question though. 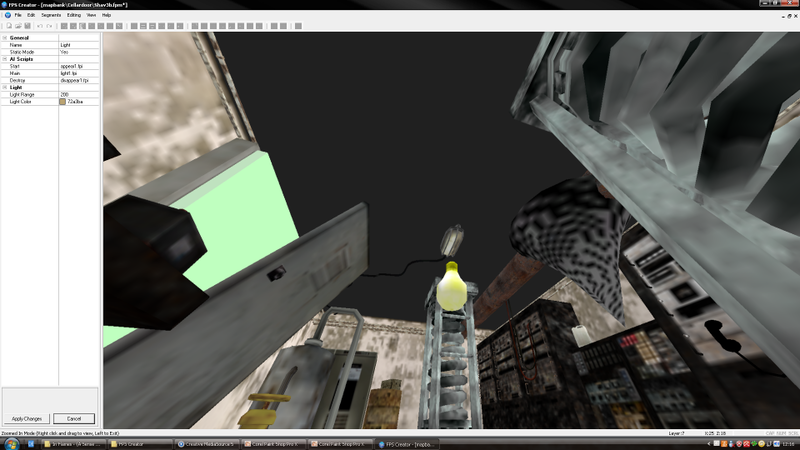 In my tests, "lightmaptexsize" didn't change the quality of the lightmap. 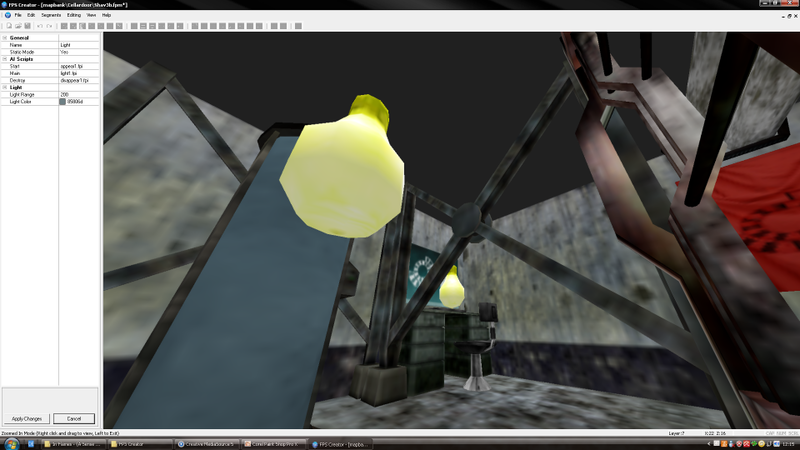 It just packed the lightmaps into larger textures. 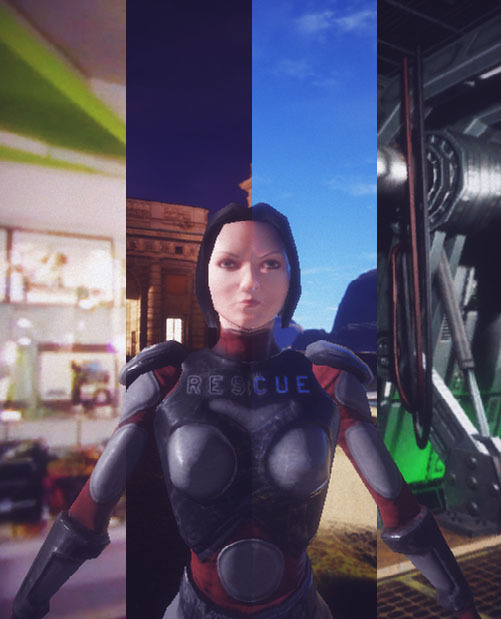 For example, for the same "lightmapquality" settings, lightmapping creates four lightmap textures at a setting of 512, versus 1 lightmap texture at a setting of 1024. And I know for a fact that GPU's are more effecient reading one 1024x1024 texture versus four 512x512 textures. So it seems like regardless of the lightmapquality settings, it would make sense to keep lightmaptexsize at 1024 - making less work for the graphics card since it only has to access one texture instead of 4. At a setting of 256 it becomes even more significant. Your graphics card will have to do sixteen texture fetches instead of one texture fetch at a setting of 1024. As counterintuitive as it sounds, using a larger lightmaptexsize is more efficient. 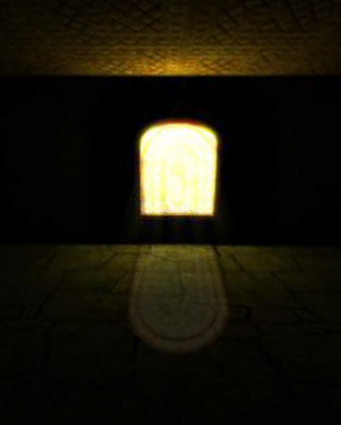 Quote: "For example, for the same "lightmapquality" settings, lightmapping creates four lightmap textures at a setting of 512, versus 1 lightmap texture at a setting of 1024. And I know for a fact that GPU's are more effecient reading one 1024x1024 texture versus four 512x512 textures. So it seems like regardless of the lightmapquality settings, it would make sense to keep lightmaptexsize at 1024 - making less work for the graphics card since it only has to access one texture instead of 4. I assumed that it would have the same imagecontent in a file with a lower resolution that would directly influence the quality. I didn't know that it would simply make more files. I look this up later today. However, regardless of the graphics card (most gamer's have something halfway decent nowadays) FPSCreator still has to create these texturemaps. Here I have to see what is creating the larger filesize ( a bunch of small bitmaps ot a larger one) and of course the typical stability question. FPSCreator isn't exactly famous for that. I assumed that creating small files would be easier for it to render than large ones. Quote: " I didn't know that it would simply make more files. I look this up later today." Yeah let me know if you get the same results. I tested this a while ago, so I'm not sure if anything has changed. But I remember after the lightmapping stage, it briefly shows you the number of textures created- and with smaller "lightmaptexsize" settings, it just created more textures. 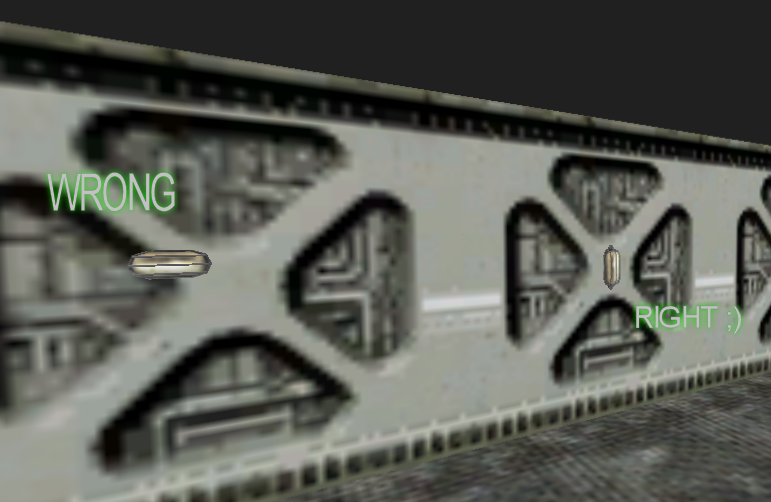 The actual resolution of the lightmap seems to be entirely dependent on the "lightmapquality" setting. I set my lightmaptexsize to 4096 and it builds faster. I didn't notice a lot of performance change. @Bond1 You where right! Thats actually great! This is great, I never thought the lighter colors are better than the plain or original ones. I will try this asap and see the result myself. Keep it up wolf, hope to see more from you in the near future. Wolf, Can you visit my wip? See if there's already an improvement, I followed your tutorials, I guess the result was fine now, but of course it will be better if you would give me some feedback/comments/suggestions to make my games more cool just like yours. Quote: "Wolf, Can you visit my wip? See if there's already an improvement, I followed your tutorials, I guess the result was fine now, but of course it will be better if you would give me some feedback/comments/suggestions to make my games more cool just like yours. Of course! I will give it a look tomorrow... right now I'm just too tired. Wolf, thanks wolf, you really did visit my thread, your really cool. Hope you wont change being the helpful. Thank you so much! Btw! I replied to your questions. once you reach the big 1000... you have to lower your lightmapquality to the 20's. revolves around 1 big building. I can't just remove lights as I please. Your signature has been eaten by a llama. Sorry; that's just the way it goes. Quote: "Just build the levels 1 by 1 and attach them back together later"
huge light changes as all the levels revolve around the 1 big building. Well... you live and learn. My next project will be on a more conservative side with lightmaps. I still dont have that issue...what are your system specs? why the final build game would freeze when loading with more detailed lightmaps. You might be able to disable the memory cap in test build but there is no such thing in the end build of a game. It will just stop loading the game if it hits 2GB of ram used or it will crash where it stopped loading a certain object in that level. editor... but it is a completely different story in the final build of the game. So another thing you should note is that you need to be conservative with your lights in your levels. suggestion that should be mentioned to Lee. 5 years ago, there was no way a FPSC game would call for more then 2gb of memory. Today with all of the new features and expand-ability... the limit needs to be moved and the final building process, optimized. Of course, I've learned my lesson. I simply can't create the "outside ambiance" effect like I did in Dusk again. Whoever said that Intel graphics fail, obviously never owned a Core i5. I was under the impression that you can patch together the same result as a build-game process to override this issue. Are you saying that even if you build your levels, one by one, and then paste in the order of level loads in the .init yourself, that when you launch the final build of the game, that it wants to load the entire game, all levels, all at once? What I thought that I had read, was that if someone was trying to use 'build game' and it was crawling to a hault, that you can just load a level or two, build them, and then manually copy/paste the levels in their place (where they would go if the full build-game process were doing this automated for you), and then type in the final levels once all rendering is done, in smaller pieces. But, if you are saying that you have successfully compiled the game, and it won't load as a game, then that is certainly an issue. Also, someone mentioned a command to override the 1.8gig mem issue- not sure if related or helpful. Quote: "But, if you are saying that you have successfully compiled the game, and it won't load as a game, then that is certainly an issue." Exactly. I CAN build the game. PLAYING it is a different issue. From there is where the FPSCGame.exe crashes when it hits 1.85gb - 2gb memory used. I understand most people here don't have more then 2gb, but this is the age of expansion. Today the standard is at least 4gb. I'd like to think that we should have the option to go as high as 4gb. Although, that wont be seen anytime soon. You may want to create a new post with this, as I think there is something you can edit in the game 'init' to free the memory limitation. What I don't know is if it will still hit the 2gig limit in 32 bit Windows, which if that is the case, is not resolvable inside FPSC. Out of curiosity, it is a single level within the game that has too many resources, which is loaded when going to play, or does it really load all of them at the start? I always assumed that the .exe would only load a level's worth of data to start, and at the winzone call, would then load the next. I hope the init thing helps! Also, I'm building quite a huge game as well. Hopefully spreading resources out over many levels won't end up a mess. Quote: "it is a single level within the game that has too many resources, which is loaded when going to play"
FPSCGame.exe loads each individual level. It doesn't load all the levels at 1 time. I think any effort to improve the quality of the FPSC documentation and help people to achieve better results in their games are very welcomed.